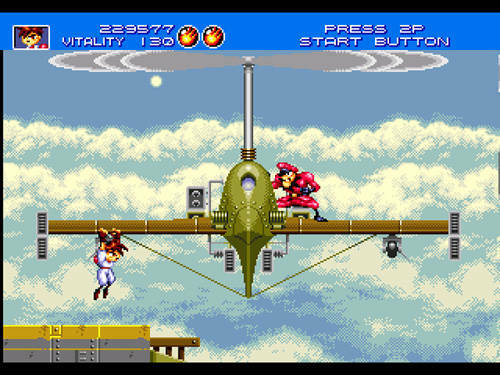 Краткое описание: Gunstar Heroes is a side scrolling shooter. 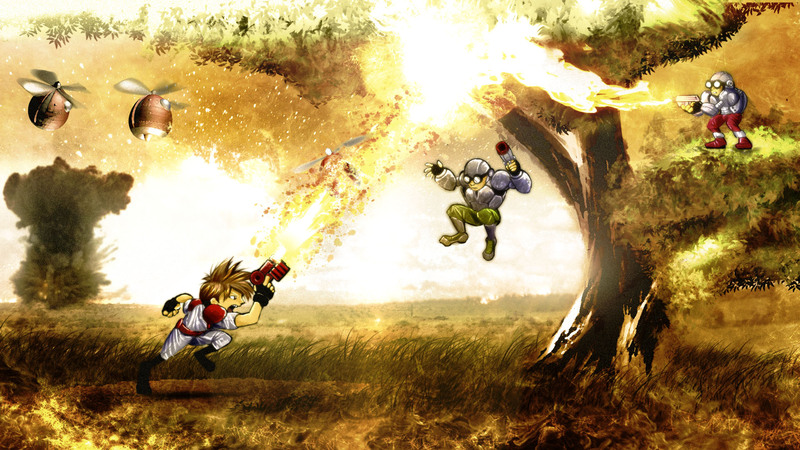 The player has four weapons to choose from, and they can be combined in various pairs to create a total of 14 unique weapons. 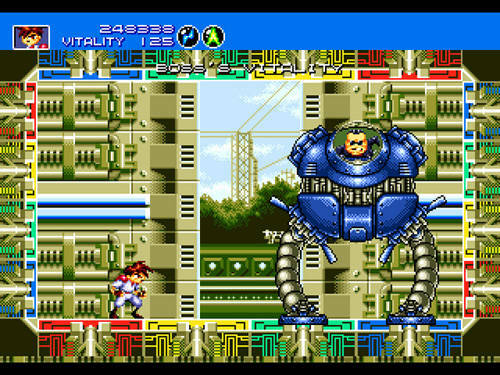 In addition to the weapons, the player can engage enemies in close quarters combat. 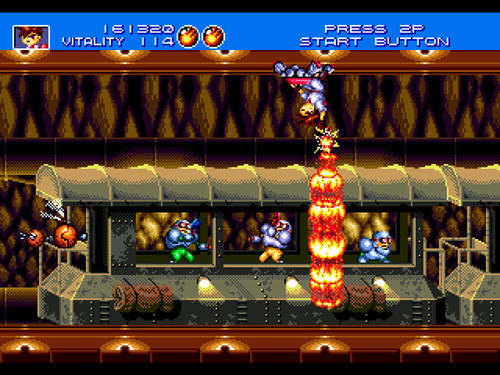 It is possible to grab and toss enemies, perform sliding and jumping attacks and a long-range skid. 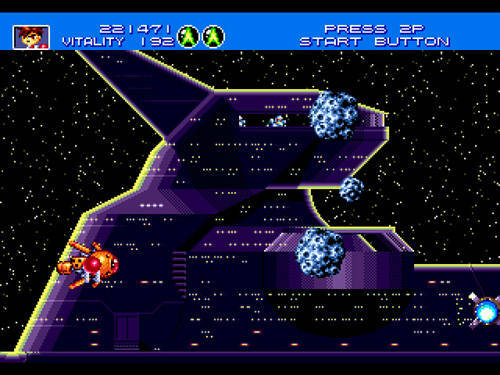 The main highlight of the game are its boss encounters, which often feature large enemies made up of multiple sprites allowing for fluid movement. 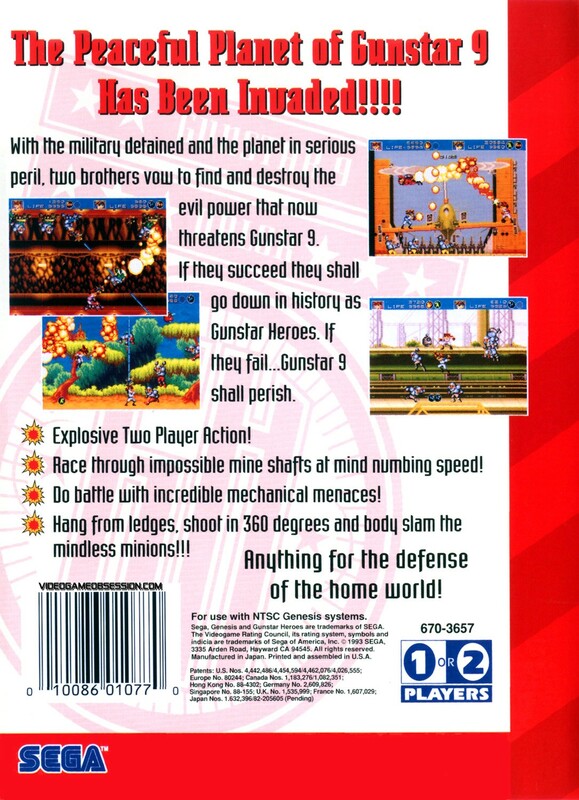 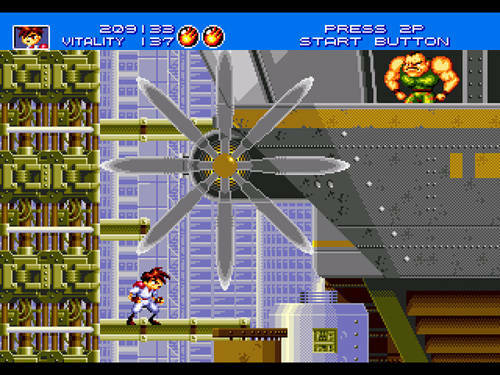 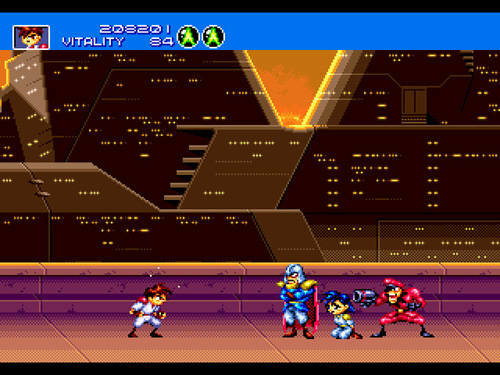 Gunstar Heroes is a side scrolling shooter. 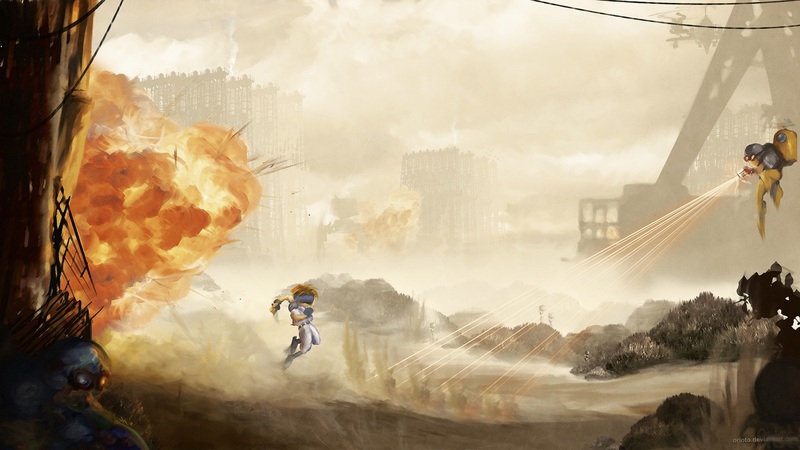 The player has four weapons to choose from, and they can be combined in various pairs to create a total of 14 unique weapons. 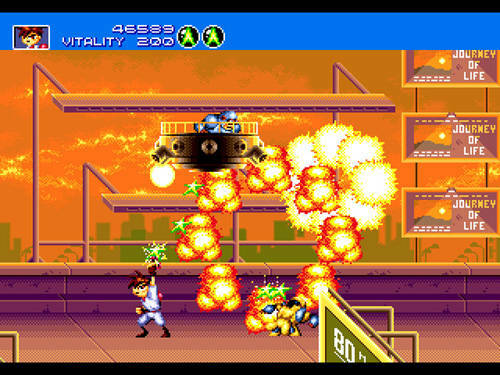 In addition to the weapons, the player can engage enemies in close quarters combat. 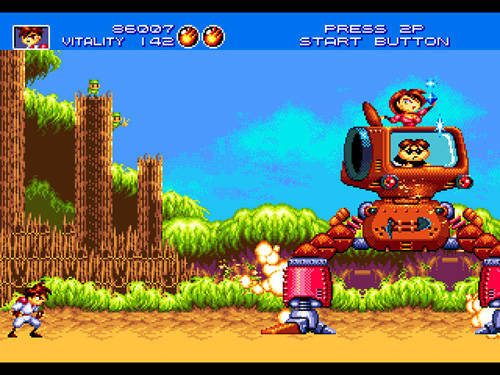 It is possible to grab and toss enemies, perform sliding and jumping attacks and a long-range skid.